A quick exploration of how I could try to illustrate an ice-cream effect from x-particles – it’s still a long way from where I know where it can get to… the goal is to set up a sequence of ice-cream, dripping chocolate followed by a sprinkle of nuts… lots of testing footage will end up here soon enough! 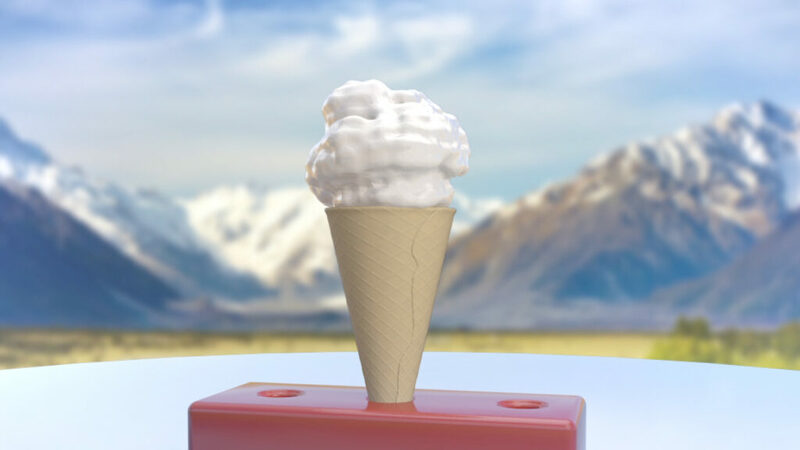 The cone was created inside C4D’s awesome modeller. It’s great at creating these organic forms. Not sure how well it competes against the likes of, Mudbox or Z-brush but I’m pretty damn impressed with it so far.